Grand Prairie Therapist: Wendy Torres - Therapist 75052. 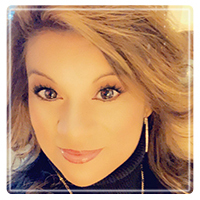 Wendy Torres is a Board Certified Biblical Counselor specializing in individual, couples and family therapy, and maintains a private practice in Grand Prairie, Texas. With years of experience as a marriage and family therapist, and as a graduate of Light University specializing in Individual, Family, and Marriage Therapy. She is currently serving as private practitioner working with a broad spectrum of clients. Among her areas of expertise are Marriage, Induvidual and Family Therapy. She has helped people with who need help with; Depression, Anger Management, Conflict Resolution, Eating Disorders, Grief and Loss, Parenting Issues, Sexual Dysfunction, Communication, Divorce Recovery, Pastors/Ministers, Addictions, Infidelity, Marital Conflict, Pre-Marital, and Women's Issues. In addition to being a prominent relationship therapist, Wendy Torres has presented at Christian Marriage Confrences, Women's Conferences, and to general audiences speaking on the topics of Marriage Relationships, Family Relationships, and Encouragement for Women. Wendy serves on staff for The Pregnancy Resource Center in Grand Prairie and also serves at The Eduational Center International Academy in Arlington. Wendy is also a member of the Christian Care Network. She is a member of The American Association of Christian Counselors and co-partner with Marriage Today. Wendy has been recognized by The International Who's Who of Professional and Business Women 2010. She is a Christian, interactive, solution-focused therapist. Her therapeutic approach is to provide support and practical feedback using biblical principles and wisdom from God's Word as led by the Holy Spirit to help clients effectively address personal life challenges. She integrates The Word of God, prayer, complementary methodologies and techniques to offer a highly personalized approach tailored to each client. With compassion and understanding, she works with each individual to help them build on their strengths and attain the personal growth they are committed to accomplishing.